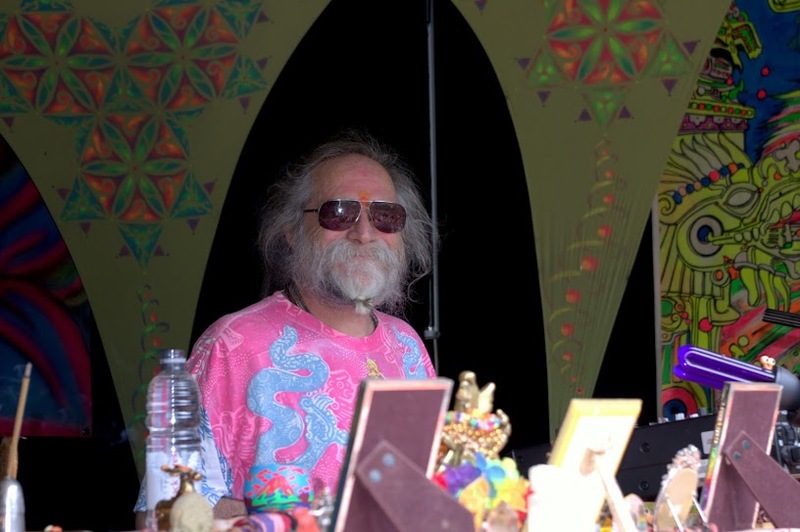 Goa Gil is the founding father of the Goa Trance scene, and without him to perpetuate the exclusive sound that is the hallmark of this hypnotic style of music, the art-form would have long since dissipated…buried beneath the sands of time. In this interview he shares his journey and views with us. 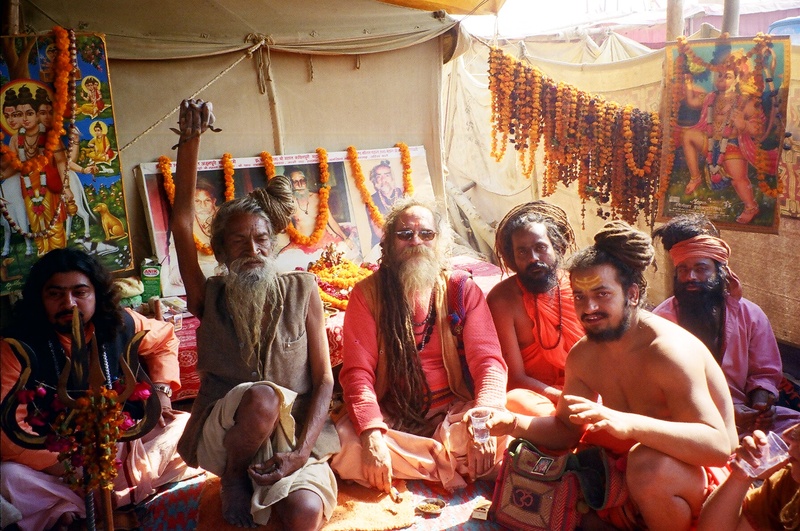 Luca: How did your journey into Goa Trance start? 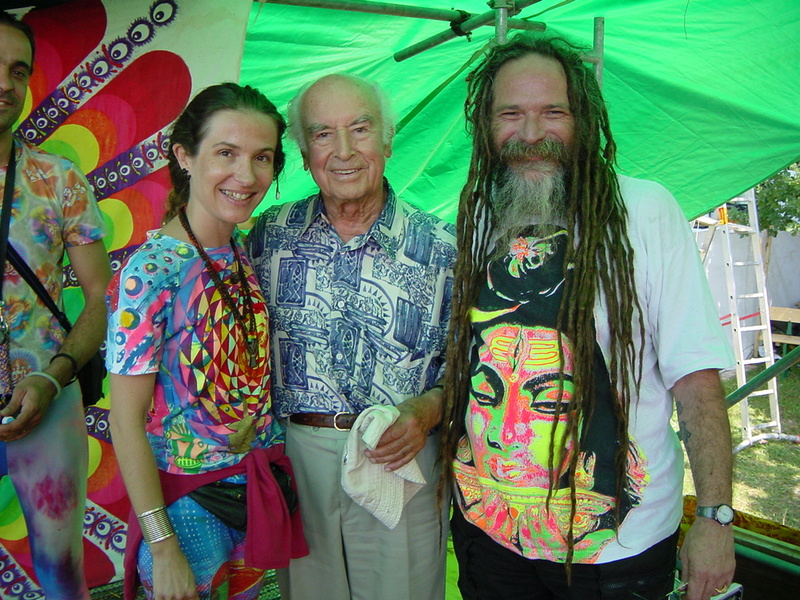 Goa Gil: I came to India in the beginning of 1970 when I was 18 years old!!! I went to Goa, then travelled around India, met my Guruji in Kashmir, took gurudiksha from him, and then I lived with Yogis in the Himalayas for several years!!! I used to come to Goa for Christmas every year, to visit all my friends I had met on the road, and the seasons in Goa just got longer and longer!!! When I first went to Goa there was only one house with foreigners on Anjuna!!! It was Eight Finger Eddie‘s house, and maybe twenty of us freaks were staying there with him!!! The first parties were campfires on the beach where we were playing guitars, drums, flutes etc., and the full moon parties etc. all grew out of that!!! Later on we got some electric equipment started making jam sessions and then bands, and then it went on to full DJ parties with techno music in the early 80’s. We pretty much initiated the whole way of life that Goa came to be, at that time!!! L: Tell us more about the BPMs you use and your mode of playing. GG: I play many BPMs!!! I have always had the same concept: in the beginning I start around 145 BPM and I play some more accessible kind of dancey tracks, to grab everyone and bring them into the story !!! Then slowly it goes up and up in tempo through the night, and finally in the late night it gets quite fast, with a dark and deep ambiance!!! Like many initiations in the mystical world, we go through the dark to come to the light!!! Early night, late night, dawn, morning, mid-day, early afternoon, and sunset all have a different feeling and different sounds for me in my narrative!!! I arrange my music according to my narrative, and the narrative has basically always remained the same, but the music always changes, because every year I have a new collection!!! I don’t like playing a track that’s over a year old, because I have nearly the same tour every year,as I have circles of friends all over the world, who I have been playing for for many years,because they love my music, they love me, and they want to bring me back to their place to play once a year, so I don‘t really want to play the same music I played last year when I come to those places this year !!! GG: It’s always been about that!!! Even in the early days of Techno/Trance in Goa, we always had a new collection of music each year!!! In the early years, when there wasn’t enough new music for the whole night, we would play some of the best tracks of the previous year in the beginning, and then, after a certain point, play all the new music the rest of the night and morning!!! Every year the music changed in Goa, and for me, I still do the same thing as ever!!! My parties, (what I do in Berlin, California, or many other places in the world),are not unlike the parties I played at in the Bamboo Forest or Disco Valley in the heyday of Goa !!! For me, nothing has changed, only the music keeps changing!!! The bad thing is that we can’t make the same sort of party in India anymor !!! 24 hour party is not possible in India anymore, so my particular way of doing things with the party, I can’t make anymore in Goa !!! The good thing is that most everywhere I play around the world, they have a great sound system, good DJ booth, the crowd is usually really nice, and you don’t have to worry about your girlfriend getting raped when she goes to pee in the bushes !!! There have been many good things about the movement branching out all over the world !!! Now I can go do my thing and bring the Goa Spirit to young people all over the world who can’t make it all the way to Goa !!! L: What is your take on the current status of the scene? GG: I listen to all kinds of music and some of the music is just not what I would call psychedelic, according to my ear, according to my particular taste!!! Also maybe some other people might say that the music I play is not psychedelic, but most of my followers know it’s psychedelic, because I give them a psychedelic experience through it. As far as the music goes, I have found that some artists are really good when they first start, their first few tracks or so, but then, when they find a formula that works, and has success, they mostly just stick to that formula, making the same type of sounds, and then it becomes predictable, like you’ve heard it all before!!! For me, then it‘s nothing new, nothing stimulating, and it becomes a bit boring, so I always search for new artists who have a new twist on things, who are breaking new ground, and who have new sounds and new beats!!! This endless search keeps things musically interesting for me!!! L: How would you define the word ‘psychedelic’? L: Is it important to ingest entheogens to ‘understand’ psytrance? GG: I’m not really sure, because of course there must be some people who indulge, but there are many people who come and dance all night at the party and don’t take anything!!! Some people have been through all of that, now they do yoga etc…and they have full power natural energy !! !They don’t need to get their Tance dance energy from other sources, because they get it from the Cosmic Source itself !! !Also they don’t drink alcohol, as alcohol is the killer!!! L: How would you describe this cosmic experience that you speak about? GG: I will tell you one of the things that I’ve always said: “Since the beginning of time mankind has used music and dance to commune with the Spirit of Nature and the Spirit of the Universe…We are using Trance music and the Trance Dance Experience to set off a chain reaction in Consciousness, This is what we call „Redefining the Ancient Tribal Ritual for the 21st Century!! !”The experience is a oneness with the whole environment around you, with the whole universe, a kind of a state of meditation through the Trance Dance Experience!!! When visiting West Africa with Ariane, we had taken part in ritual dances in villages, with the women dancing, drummers playing, people chanting, through this ritual people become one with the spirit!!! One of the doorways to connecting with God is through music and dance in Africa!!! They play drum and dance all night in Africa and become one with the spirit, and I am doing the same thing with psychedelic music, the DJ situation, and the trance dance experience !!! That has a lot to do as to why we prefer to play alone and just do our own thing, we don’t play in line-ups or festivals, because we are working to keep the integrity of the Goa Spirit intact!!! Due to particular life experiences, I have a unique perspective on things, so I have found that it has worked much better when I just go and do own my thing the way I have always done it, because I have seen from previous experiences many years ago, that having other people involved usually would bring the energy down !!! When I come to play I bring my whole life of experiences to it, my whole history, from hanging out with the bands in San Francisco in the 60‘s,meeting the likes of Janis Joplin and Jimi Hendrix, just to name a couple, being heavily into the music, then coming to India, becoming a Baba, being involved with the yogic life and the Indian culture, and then using all my personal history of experiences and my musical knowledge to synthesize something new to give to world: my way of worshipping the Divine, communicating with the public, and giving a higher transmission through the Trance Dance Experience !!! There is a whole lifestyle, a whole way of Being, that supports this ability!!! L: You are still playing in DAT. Have you ever considering changing your medium? GG: I prefer DAT to this day!!! Before DAT, we used to play on cassettes, because for international jet-setting nomads, travelling around the world with vinyl and turn-tables was impossible,so everyone I knew travelled around with and played with cassettes !!! I used cassettes for many years, but then when DAT came out, I shifted to DAT because the sound quality was much much better!!! I still believe that the sound quality of DAT is even better than CD, It has a more analog sound, it’s digital, and they have digital to analog converters inside, and somehow, (maybe due to the tape crossing a head for the numbers to be read), on a big system it’s got a more analog sound, a warmer presence, and more bass !!! L: These days anyone can install a DAW and make music…hence there’s a lot of tracks out there, most of which arguably sound the same…Do you think that easy access to the creation of electronic music is positive or negative? GG: It’s a good thing!!! There are perhaps a lot of people making a lot of crap but they are still learning!!! The new technologies give people the option to express their sounds, creating in the process many new artists with new ideas and new visions!!! The new technology helps to stimulate people to express themselves through their particular art forms!!! What is commercial ??? Appealing to the widest possible number of people is commercial success, so you need to come down to the lowest common denominator to appeal to the widest audience!!! I have always said that what I do is not for everybody!!! I have a very eclectic taste in music, and I have been through so much of different music to come to where I am today, so I don’t want to hear something like what I already heard in the 1980’s or 1990‘s !!! If I were into nostalgia, then I would still be listening to Janis, Jimi, The Dead, the music of the 60‘s!!! L: Wonderful Information! Thank you for your time! Any message for your fans? GG: May the light of love shine in your hearts and in your minds and may you always walk in peace !!! Om Namo Narayan !!! Wow. My favorite.om Nama Narayanan. Goa Gil shared a post. Goa Gil will be opening the Lotus stage @ Shankra Festival 2019 in Switzerland on July 17th with a 24 hour set! We miss you in Argentina. Sofie Switten we gingen naar zwitserland toch? Chris Vanderlinden gaan we ? Antoine Troussard Julien Guigon Alex Bobo William Ptr Ethan Zanzouri !!! Goa Gil Divine Dozen for October 2018! Vinicius Lopes Santos dá uma olhada! !